Robert was born and raised in Fort Worth. He received his undergraduate degree from Texas Christian University and his law degree from St. Mary’s University. Upon graduation from law school, Robert began his legal career at the Tarrant County District Attorney’s office where he spent two years trying many types of criminal cases. Turning his attention from criminal law to civil trial law after leaving the district attorney’s office, Robert spent 11 years at Cantey & Hanger, a large law firm in Fort Worth. After 11 years with that firm, he left to form this firm with Terry Gardner. Throughout his legal career, Robert has tried many different types of cases including those involving death, serious bodily injury, commercial fraud, breach of fiduciary duty, real estate disputes and the unauthorized taking of a person’s real property. Almost exclusively, he has represented the plaintiff in these matters including groups of plaintiffs in class action claims. In addition to the above, Robert represents individuals who find themselves in need of a divorce – normally cases involving substantial marital estates – and has tried a number of these cases in Tarrant and other counties. 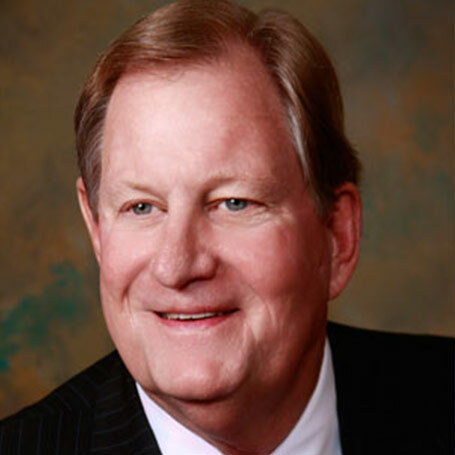 Robert has been active in the legal and civic communities and, since 2006, has served as a board member, Secretary/Treasurer, Vice President, and President of the Tarrant County Bar Association. For the 2011-2012 bar year, Robert has served as President of the Tarrant County Bar Association. He has been elected to various boards, associations and legal foundations and continues to be active in them. Robert is board certified in both personal injury and civil trial law and speaks on these subjects. With his sailor's eye always on the weather, Robert maintains his own weather station at his lakehouse and webcasts real-time weather reports for Lake Possum Kingdom. Robert is married to Erin Kane Aldrich. They have twins, Kane and Margaret. Included In “Best” Lawyers, “Super” Lawyers, Texas (2003-2010), “Distinguished" Lawyers And “Pre-eminent” Lawyers In Various National, State, Regional And Local Periodicals.